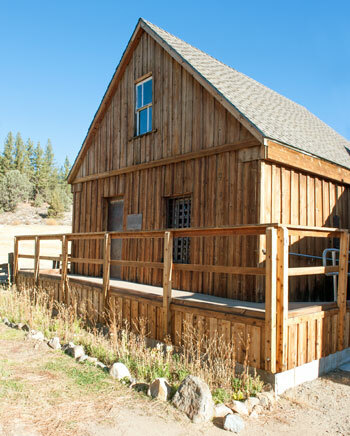 In 1875, the Alpine County seat was moved from Silver Mountain (Kongsberg) to Markleeville. A new jail being needed, a foundation was laid using logs. 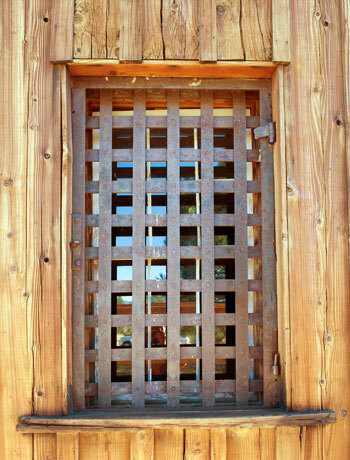 The iron cells from the old jail were placed thereon and using the mortise and tenon method, the rest of the building was completed using logs. So far as is known not another jail was ever built like this one. In 1969 the jail was moved to its present site. Donated to the Historical Society in memory of Orrin P. Brown, Sheriff.